New-biz packaging ideas for a variety of brands. 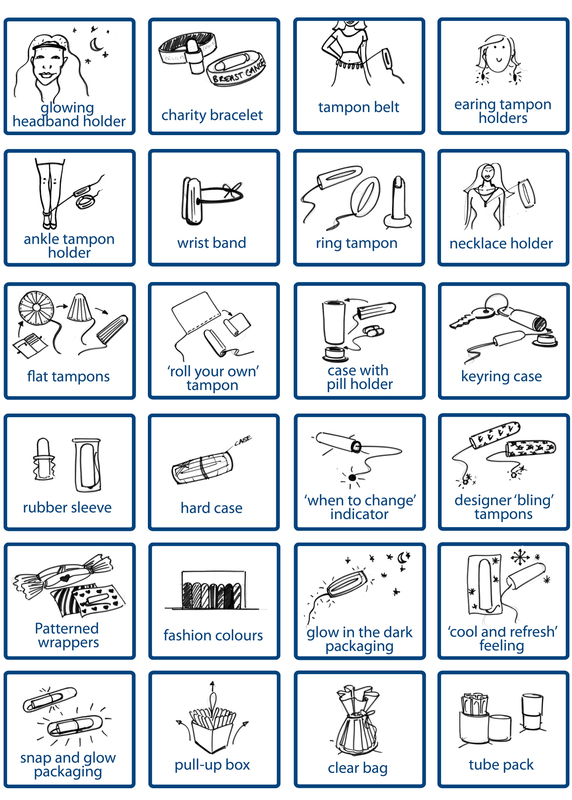 Tampon idea I Personas and contexts. 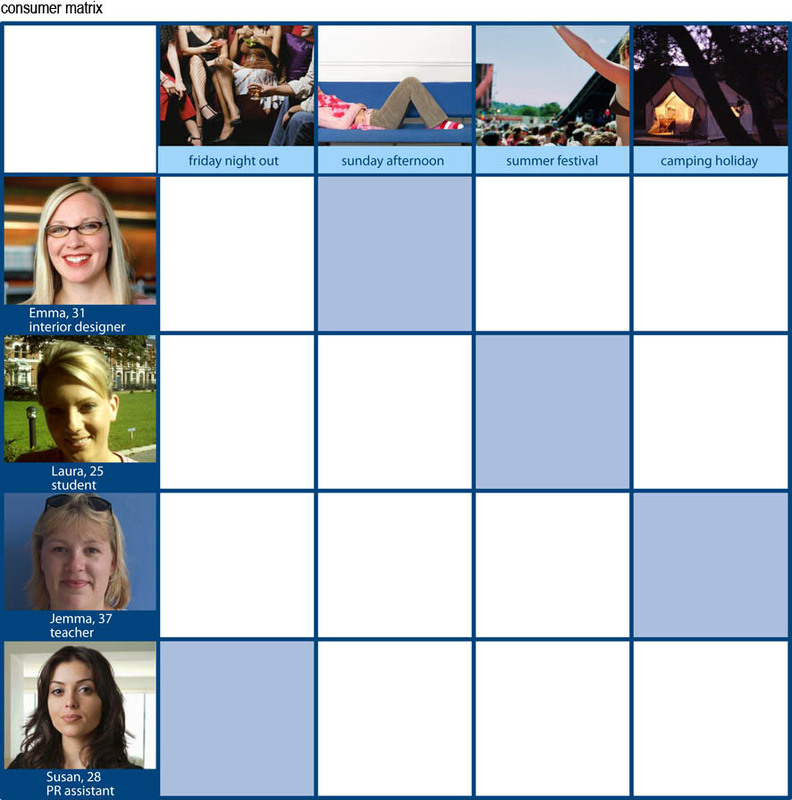 We looked at a number of scenarios related to different women, at different ages and with different lifestyles and occupations. Below: A variety of ideas sketched out in squares. The crazier, the better at this stage. 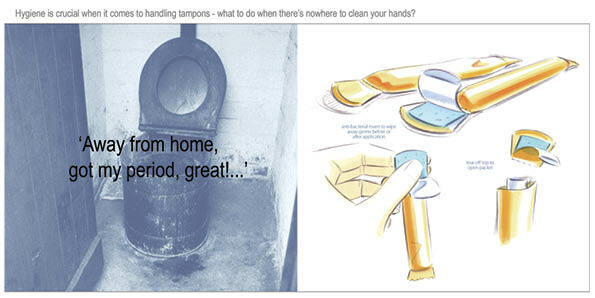 Final idea sent to Tampax: A tampon with an antibacterial insert to wipe away germs before or after application. Other packaging ideas underneath.